Nathan offers a discount of 50% on their first / introductory lesson! Nathan first started learning the clarinet when introduced to it by his primary school headmaster. Throughout high school he had lessons with David Campbell and then joined the Purcell school as a sixth former. Between 1999 and 2003 he attended the Royal College of Music (RCM) as a Foundation Scholar. At the RCM he studied with Janet Hilton, Tim Lines, Michael Collins and Emma Johnson. Having moved out of London to Camberley in 2013, Nathan has re-kindled his musical activities. He is Principal Clarinetist of the Farnborough Symphony Orchestra, has played multiple times as guest principal clarinet with the Surrey Mozart Players and is a member of the Blackwater Valley Wind Quintet. I have taught a wide range of ages and stages over the last twenty five years, starting in my teens. Throughout sixth form and College I taught both privately and in schools. I've worked with children through to adults and have helped students prepare for ABRSM and Trinity exams. I'm particularly keen to work with people looking to develop their playing to higher grades. Generally I look to ensure that students take enjoyment from lessons whilst ensuring that they develop the needed skills to achieve their potential. Lessons are balanced between pieces and technical work. 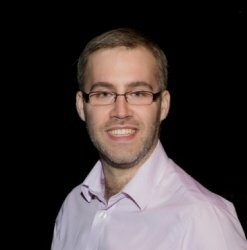 NathanFrom Wendy (5/5): Nathan is a committed and excellent teacher with lots of ideas for repertoire and plenty of technique coaching.